This weeks Photo Wednesday was taken in the Cheongna Lake Park (also know as Central Park), Incheon. This photo shows one of the highlights of this park a man made beach, which is perfect during these summer months. 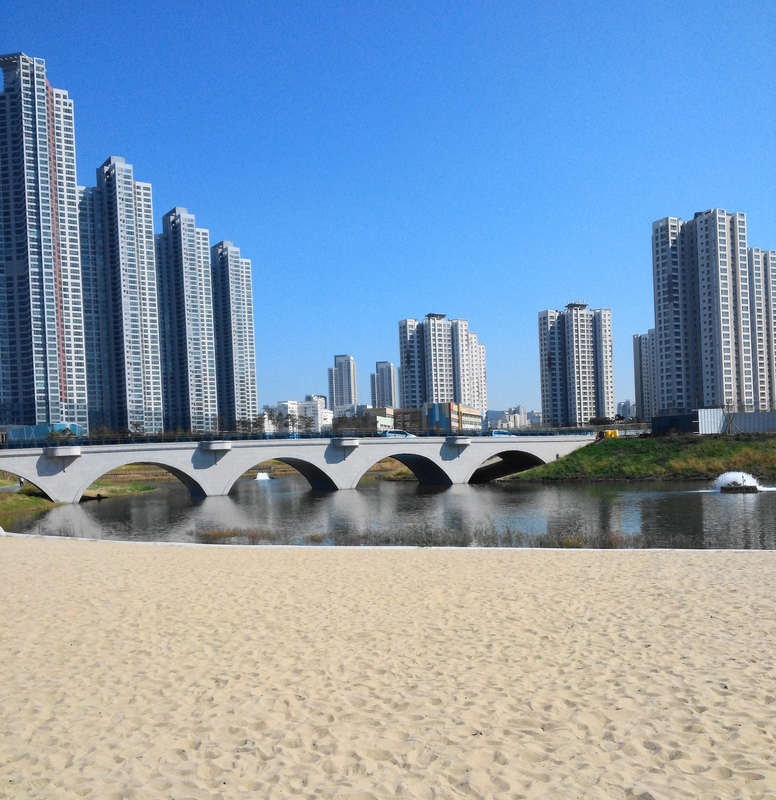 The beach is has some great soft sand and isn’t very busy when you compare it to places in Seoul (along the han river, not a beach but popular), Sokcho and Busan. Certainly a cool place to check out if in the area. Last weeks Photo Wednesday – “The Cheonggyecheon Stream on a Sunny Day” can be found HERE.